Coronary heart disease is the UK’s single biggest killer and over seven million people are currently living with a cardiovascular disease across the nation. We spoke to Maureen Talbot, a senior cardiac nurse at the British Heart Foundation who shared her top tips for travelling with heart conditions. 1. Can you give us any advice for people who have recently been diagnosed with a heart condition and are thinking about going on their first holiday with the condition? People should have a read of our information sheet, Travel and your heart for general advice. I would also recommend that a person check with their specialist or GP that they can fly, and that they have appropriate medical insurance in place in which they have declared their heart condition. 2. What precautions should people take before a holiday? They should make sure they have enough of their medications to last for the whole holiday as well as a copy of their prescription to take with them. They should not ignore any symptoms they may experience while away in the hope they can get them checked out on their return home. 3. Are there any countries or climates that people with a heart condition should avoid travelling to? It is worth knowing though that the heart has to work harder in extremes of hot and cold weather so a person may want to holiday in more moderate climates. A doctor with access to a full medical history will be able to provide guidance on travelling in certain climates. 4. What are people most worried about when travelling with a heart condition? It varies from person to person but worries are reduced as a person develops confidence and learns to manage their condition. If someone has a pacemaker or ICD they may worry about security checks. If someone gets breathless on exertion they may worry about the amount of activity they can do. Others will worry about symptoms of chest pain and what to do if their spray doesn’t work. People can discuss their worries with their GP before they go on holiday and ensure they have a management plan in place. 5. 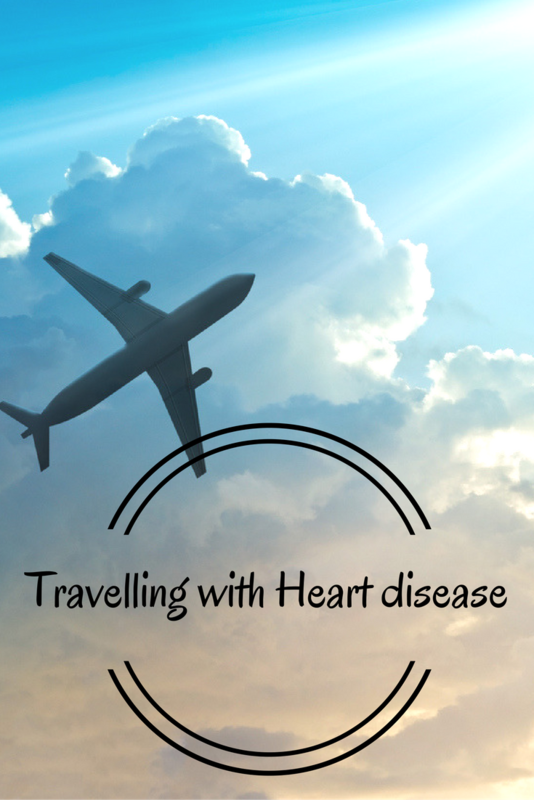 What tips can you offer people travelling with medication for a heart condition? First and foremost it is essential that they have enough medicines for the whole trip as well as a copy of their prescription. They should know the generic name of their medicines as the trade name of it may vary from country to country. People should also have an understanding of what their medicine is for and what side effects to look out for. Pharmacists are a good source of advice on medicines when a person is on holiday. 6. Are there any activities that people with a heart condition should avoid? If certain activities cause symptoms then it is important that a person rests until the symptoms pass and that they take their medicines as prescribed. Taking on physical activities on holiday if a person is not usually active may lead to an onset/increase of symptoms so should be undertaken gradually. People who are usually physically active may find the same level of activity harder in extreme temperatures or at altitude and they should moderate their efforts accordingly and rest if they experience symptoms. 7. Are there any tips for partners of people with a heart condition? Our booklet Caring for a person with a heart condition provides lots of practical tips on how to look after a person with a heart condition. A good rule of thumb is to ensure they don’t wrap the person in cotton wool and let them do as much as possible for themselves within their limits. It is also important that the carer takes care of themselves and if they have any worries about the situation to discuss them with their GP or talk them through with a friend or relative. 8. In your opinion does having a heart condition stop people from enjoying their holidays? No. A relaxing holiday, which is different things to different people, is beneficial for the heart. As there are many heart conditions and their effect on a person’s quality of life can vary hugely, it is important to be prepared in order to get the most out of the break and reduce the possibility of problems. 9. Can you give us 5 top tips for travelling with a heart condition? For more information about the British Heart Foundation visit their website where you can download a number of free publications and if you would like to speak to someone about cardiovascular disease the charity’s Heart Helpline can be contacted on: 0300 330 3311.